"যিদিনাই প্ৰত্যেক শিশুৰ হাতত এখন সহজে বুজি পোৱা অসমীয়া কিতাপ থাকিব মোৰ অনুবাদ সফল হ'ব"
"My translations will be a success when an Assamese book with illustrations is in every child's hand." When we told you in a previous blog post, that Rantu Moni Deka, is a man on a mission, we weren't joking. 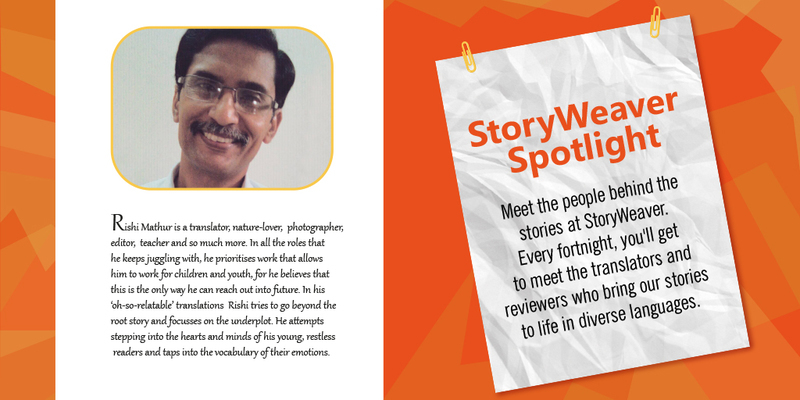 He's translated 15 stories to Assamese on StoryWeaver, and written the first, orginal Assamese community story too! Rantu sent us a lovely message on International Translation Day which we wanted to share with our readers. "First of all Thanks to Pratham Books StoryWeaver for giving us a platform for doing something for the lovely kids. Learning depends on the ability to read. When children have access to enjoyable, enriching stories in their own languages, the transformation in their reading skills are visible. The sheer joy of reading stories that are engaging and capture their imagination can make children become readers. Which in turn, makes them better learners. Assam Govt. students have access to libraries in school, but the books are not proper for them and so the children ofcourse are not interested in them. But they love StoryWeaver stories which have been translated to Assamese. The children feel so happy with the colourful illustration and a story that is easily understood by them. If these storybooks are available in their school library and also in the village library where the children meet together in the evening then my dreams will come true. 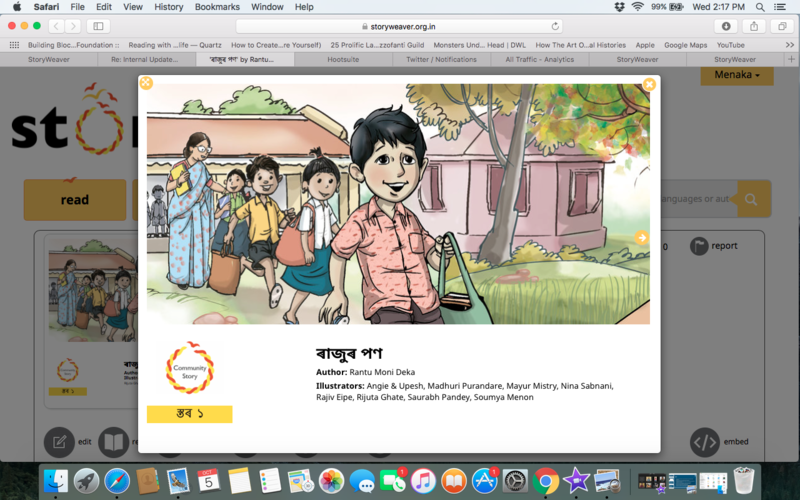 I will encourage others to use StoryWeaver and will try my best to translate more stories to Assamese so that children can read all the Pratham Books stories in their hands."